I was annoyed for long time with the look of Pak128 in winter, where most of older buildings lack snow, so I decided to update them myself, removing the ground when possible (also to fit better with climates) and adding a winter version. 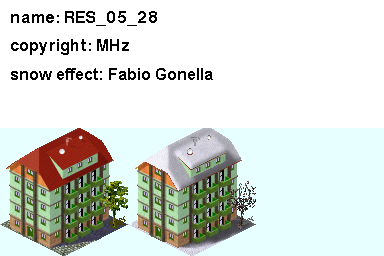 It's a tiresome process, but so far I edited around 100 RES buildings. I plan to release them in a few batches, as I don't know if I'll be able to process them all. First release will follow in the next days. PD: Any fans of HBO's Game of Thrones around? Nice job, tanks for that ! Looking forward to those Winter scenes. They look good! 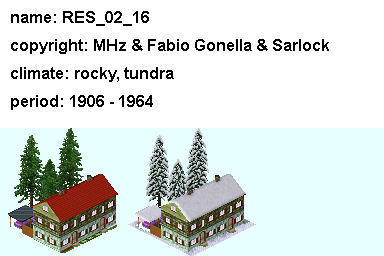 The Buildings with Snow looks very good out. Very nice! I was just thinking about how big a task it was going to be to do that and at some point I was going to consider doing it... very well done! I am going to start working on the trees, we'll have a winter wonderland landscape very soon! Huge fan of the George RR Martin's "A song of Ice and Fire" series. It is quite a read, I've spent a few months rereading parts 1 to 4 when part 5 was published, in order to remember as much details as possible and thereby enjoy the latest book more. It's good to see Game of Thrones is a tv-sequel and not a movie, there is a lot more time to tell the (very complicated) story. They did a very good job. I especially like the intro, brilliant. I still wonder though how they will do book 4 (a Feast for Crows) and 5 (Dance of the Dragon) as the story spreads out rapidly there. So much to tell in one season, it seems almost impossible. 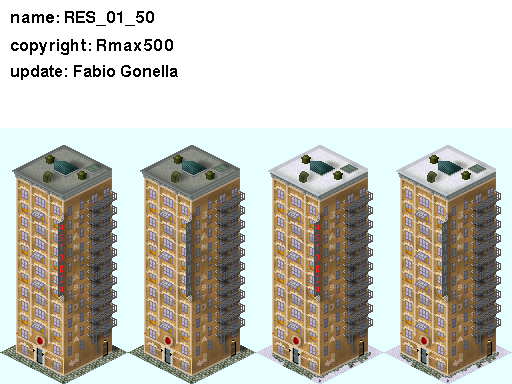 Now I have completed 104 buildings (last week they were actually half of that, in my estimate I included also those ALREADY with snow). I want to post here some thumbnails. 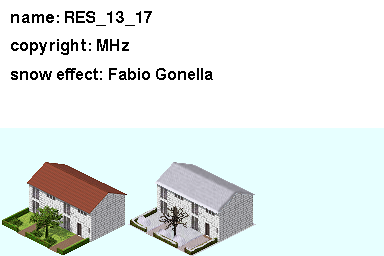 Many buildings were heavily revamped, with retexturing, new windows, new roofs and so on. The Building in Winterlook looks very good out. I hope that the Photos cam in the svn. What an enormous amount of work! You certainly must feel cold now!! Anyway, you've earned a place in the Nightwatch!!! ...I didn't expect window upgrades and rotations as well! You surely deserve Devotee status. That is very impressive. What an incredible amount of work you have done. I can't wait to play with them! I see you found the topic, although I split it afraid it wouldn't be possible to open it due to the huge number of images. Tomorrow I'll post a zip with PNGs + DATs for the SVN. It's ready, but I wish to still edit a few pixels before official release and moving on to what is left. I love 'em too! The snow looks especially good on the residential buildings and parks. Of course those lend themselves to snow cover better than high rise buildings. Thank you so much is all I can offer until you are better paid. Not sure what that will be but will keep it in mind. Just to join the consensus -- these are stunning! Wonderful work ! I like very much. The winter came, no doubt! Do you want also modify curiosities and factories ? Because we can help you . I Like the Buildings with winter look. Ok, did some more tweaks (snow on hedges, removed a couple more gronds...) and now it's ok (see for yourself, I updated the preview above, too). Or better, I don't think wasting more time on these buildings would be efficient. As I don't have commit rights to the SVN, I ask please to VS (or Zeno) to download them and commit them for me. Fabio in The Download link are tippingfaults. WOW Christmas in October With so many wonderful additions what is the suggested way of getting them into current games? Another 3 buildings repainted and rotated. The main point here is preserving the "spirit" of the original objects, yet creating a building more consistent with the style of the Pakset. 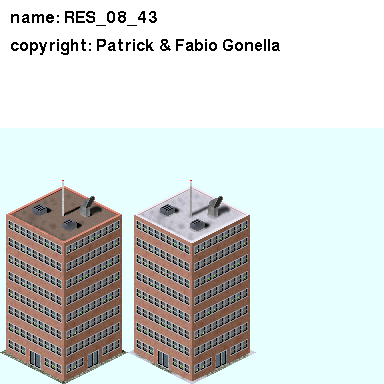 This one is much taller than default level 60 buildings (20 floors vs 12 floors). We should make a new 4-5 taller level 60 residential towers in order to give the skyline more verticality. Those building looks very good out!